Unfortunately, Mitsubishi has no intention to bring back its Montero nameplate in North America. No, the SUV will stay absent for now. On the other hand, the overseas sibling that comes in form of a Pajero Sport achieves quite remarkable results, especially in Asia and Australia. 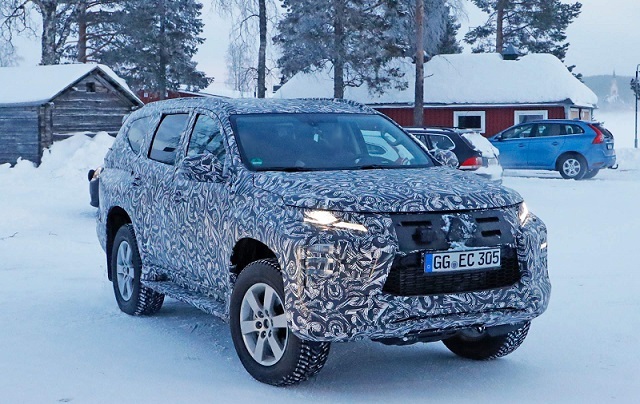 Today’s SUV is actually the third-gen model that has been available since 2016, which means that the testing prototype we’ve just caught is going to receive a mid-cycle makeover. 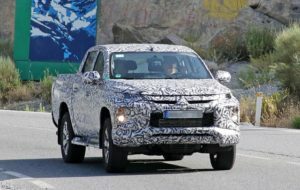 The refreshed SUV will most probably be introduced in late 2019 as the 2020 Mitsubishi Pajero Sport. Although it’s going to receive the update only, the three-row SUV will host a number of styling changes. As far as we can see, the camouflage hides a pair of restyled LED headlights in the front, as well as totally new lamps below. The grille might also be slightly redesigned, while all the way down, the vehicle features a more rugged bumper. 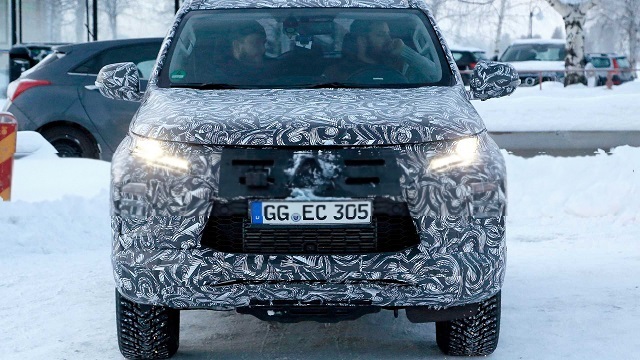 In the rear, the 2020 Pajero Sport totally new LED taillights and perhaps restyled bumper with reshaped exhaust tips. That’s pretty much everything we can figure out at the moment. Still, the prototype is totally camouflaged, so there could be some additional changes on sides. Inside, the mid-life refresh will make things softer, so to say. The model will definitely receive better quality materials and a refreshed dashboard, along with new tech onboard. The new list will definitely include Forward Collision Mitigation, Rear Cross Traffic Alert, Blind Spot Warning, Ultrasonic Misacceleration Mitigation, and the Multi Around Monitor. 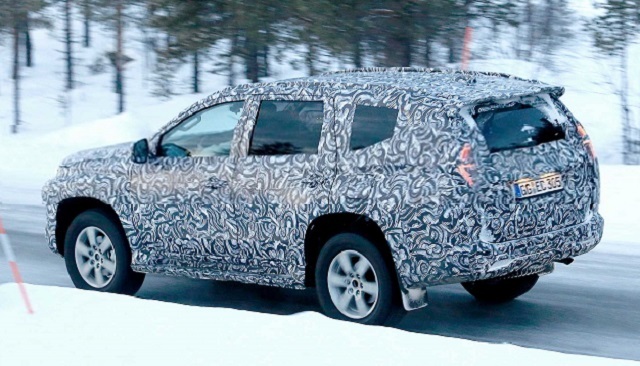 We don’t think there’s going to be any changes under the hood of the updated SUV. 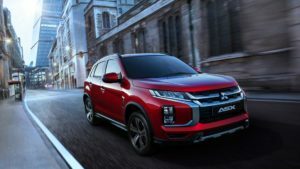 More precisely, the 2020 Mitsubishi Pajero Sport will keep its current 2.4-liter gasoline and diesel options untouched. There’s a great possibility of seeing a hybrid model at some point of the lifecycle, yet not right away. All options will use an eight-speed automatic transmission and all-wheel drive. Mitsubishi introduced the new off-road mode earlier this year on the facelifted L200. The feature will most likely be available with the new Pajero Sport as well, so you can expect the SUV that offers Gravel, Mud/Snow, Sand, and Rock settings.